A bipolar transistor has three electrodes: emitter, collector and base. If the Pinout of the device is unknown, it can be determined empirically. You can use the regular ohmmeter. Using a sample of the diode, marked the Pinout directly on the body, determine what is the polarity of the voltage on the ohmmeter probes in the measurement mode of resistance. From the gauge it is often the opposite polarity, in which to connect the probes to measure voltage and current. Digital devices of the same polarity in all modes is usually the same. But to implement such a check does not hurt anyway. Connect the probe of the instrument to one of the terminals of the transistor and then the other probe connect alternately first to one and then to another of the remaining conclusions. If the arrow does not deviate, change the polarity of the test probes and repeat the experience. In the case that to achieve the deflection has failed and in this case, so this conclusion is not basic. Repeat the above steps for the remaining conclusions of the transistor. Find a combination of electrodes in which a transistor behaves like two diodes connected to either the cathodes or anodes at one point. The conclusion, which summed up the point of their connection, and is the base. But remember that to use the transistor as two diodes because they will interfere with each other. Define the structure of the transistor. If he behaves like two diodes connected with anodes to the structure - n-p-n, but if it behaves like two diodes connected to the cathodes, then the structure p-n-p. It remains to determine which of the remaining leads - emitter, and a collector. 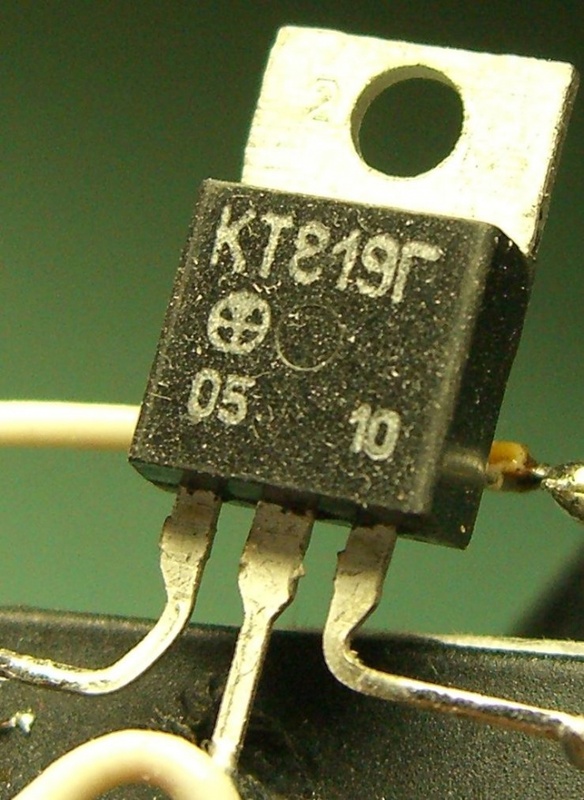 Assemble a transistor amplifier stage with common emitter. Feed him meals in the correct polarity, depending on the structure (structure n-p-n voltage on the supply bus must be positive, and for the structure p-n-p - negative). If the transistor is properly connected (the emitter on a common cable), its gain will be significantly higher than in case of incorrect connection (when on a common cable header).